Giving someone the task of giving your whole brand a total makeover can sound like a bit of a scary thing to do. Individuals struggle time and time again finding what will make their brands pop from websites to logos and even the way they establish confidence in their business. 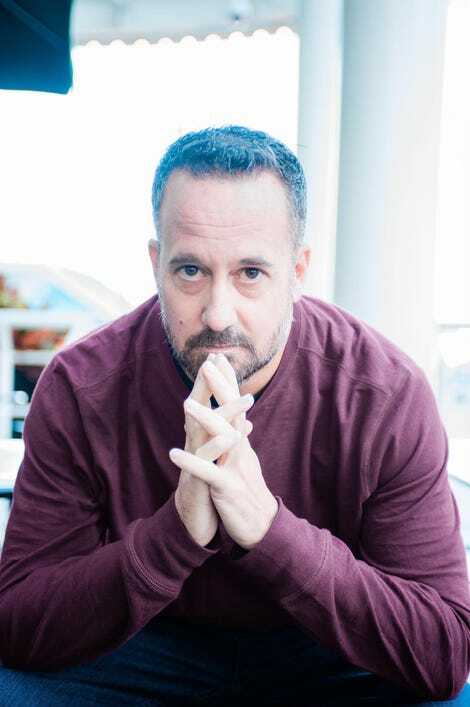 Today, there are 5 main reasons why powerful brands who are ready to dramatically increase their reach and awareness through traditional PR, advertising, media, and podcasting would invest and trust in The Makeover Master, Mike Young to get the job done right. The business world today is all about grabbing the attention of prospective clients. Things move fast, so making that first impression tug at their curiosity is crucial. First impressions are formed in less than one-tenth of a second online and they matter, a lot, because as it turns out, we all judge books by their covers. Your Business Image (a.k.a Your Visual Brand Identity) is everything a new prospect can see with their eyes to form a first impression of you and your business. Their first impression helps them determine whether or not they should choose to contact or engage with you for the very first time. Get it right and people will keep reading. Get it wrong and they turn their eyes to the next business attempting to lock their attention. Elizabeth Lyons was a successful author, speaker, and writing coach who hired Mike in the spring of 2018. Her main program revolves around helping entrepreneurs in writing, publishing, and launching their first book. Sadly, it wasn’t taking off like she thought it would and she was struggling to figure out why. Like so many entrepreneurs, she was an action taker and her programs had amazing impact for her clients. But her action sans proper branding which made her brand appear like a confusing mess online and you couldn’t tell whether she was selling books, programs, or apparel. Her main program called ‘Publish a Profitable Book’ was going nowhere fast. People were visiting her site and didn’t know where to start and her message was all over the place. Elizabeth invested with Mike Young to help clean up her brand and shortly thereafter, her business took off. She now has a full plate of clients that she’s helping write their first book all because her brand went from messy to clean and cohesive real fast. And apart from the clients she’s helping, she also has a long waiting list of clients who can’t wait to have her help them write their stories. Mike explains that working with different clients in creating a professional business image made him realize that it’s all about building confidence. Proper branding creates this internal confidence for the business owner and in turn, this confidence encourages them to pick up their promotional game. It also goads the business owners of other companies who are in need of your brand’s products and services to do nothing less than trusting your business. Your drive for success being apparent, new prospects are encouraged to take the first step and start a relationship with your business. With the combination of these two things – you are promoting your business more vigorously than ever before and your new prospects willingly engaging in your business at a rate that is much higher than their previous contact rate, will make your business take off. With Mike, revitalizing your brand can be accomplished in less than 90 days, definitely a shorter time than the seven years that it took for him to fabricate a systemized process for creating effective and compelling visual brands. Indeed, having the right mentor is key to upping your branding game. And Mike does just that and more – he educates you on how to position your business superbly so that it will explode in 1/10 of the time it took Mike to figure out all these hard-earned snippets of business wisdom. They say to become an expert at something, it takes 10,000 hours of honing your skills. Most of Mike’s clients have already spent 10,000 hours becoming experts in their respective fields and it’s their expertise that allows them to create the greatest impact on other people’s lives. No matter which niche you are in, it really comes down to staying in your lane, so you can metamorphose into a higher level of genius. This entails being selective with your energy and naturally, you must not focus on things that you aren’t an expert at such as visual branding. If you entrust the reins of your brand’s image to the very capable hands of a branding wizard, your captivating business image can lead to the surge of your business success. Meanwhile, you’re spending your time on hammering your own skills and improving your services. Armed with an effective personal brand, you don’t have to lose sleep over your business image or spend another 10,000 hours trying to learn effective branding. As powerful as Mike’s makeover process may be, he wasn’t always that good with brands. In the past seven years, Mike had been submerged by the tide over and over again, but he always came up paddling the chaotic waters of branding, in search of better lands. In his journey, he has invested in his self-education by reading countless books, joining courses, and attending seminars.